I haven't done a lot of coverstitching yet, but what I have done is great. Easy to thread and use. It's a great machine and does a beautiful job,. This is a MUST have for sewing knits! I adore hemming knits with my CoverPro. This machine can feed and finish very delicate, slinky fabrics like magic. I will never, ever use anything else again on my knit garments and minkee blankets! I am pleased with this purchase. I just need to the time research other sewing techniques that are available. Love my machine. Works great for hemming tablecloths. Easy to thread and use. Love, Love, Love this machine. It is so easy to operate. Easy to thread and change needles. My hems come out looking great! I use this machine more than I ever thought I would. Love my coverpro Very easy to thread . I use the cover stitch to shorten my tops that are to long. when i finish sewing the hem my tops look store bought.The stitches are perfect and does a great job on knits and the book with the instructions is very easy to under stand.Very happy that I purchased this machine. 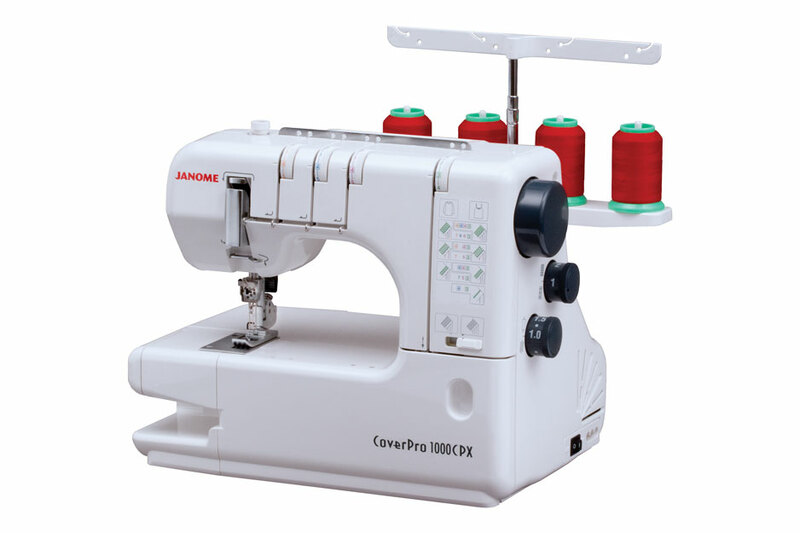 I would recommend this coverpro to all of my friends that sew. I am very pleased with my 1000cpx. I have found the instruction manual easy to read and follow. Videos that I have located online have also helped tremendously. I have only owned the machine a short time, but feel like I already have a good understanding of how set up and use the stitches.